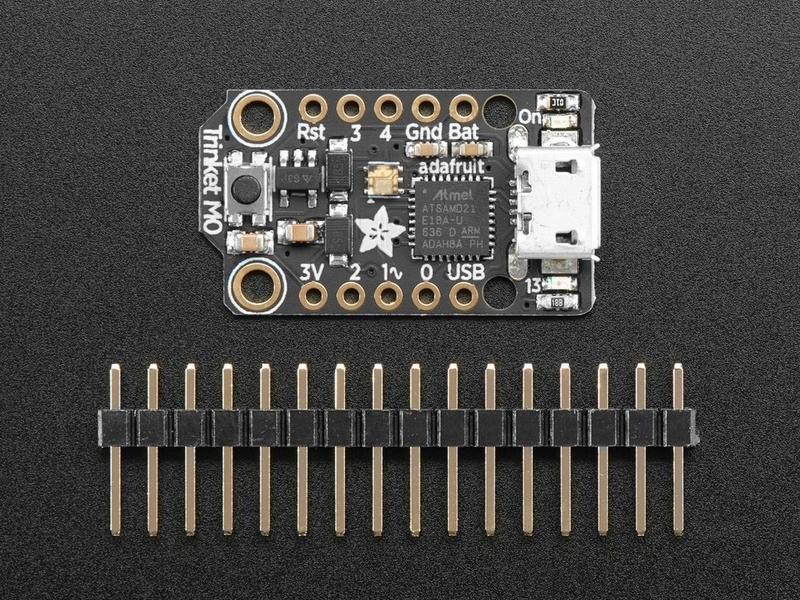 The Adafruit Trinket M0 is a tiny microcontroller board, built around the Atmel ATSAMD21, a little chip with a lot of power. 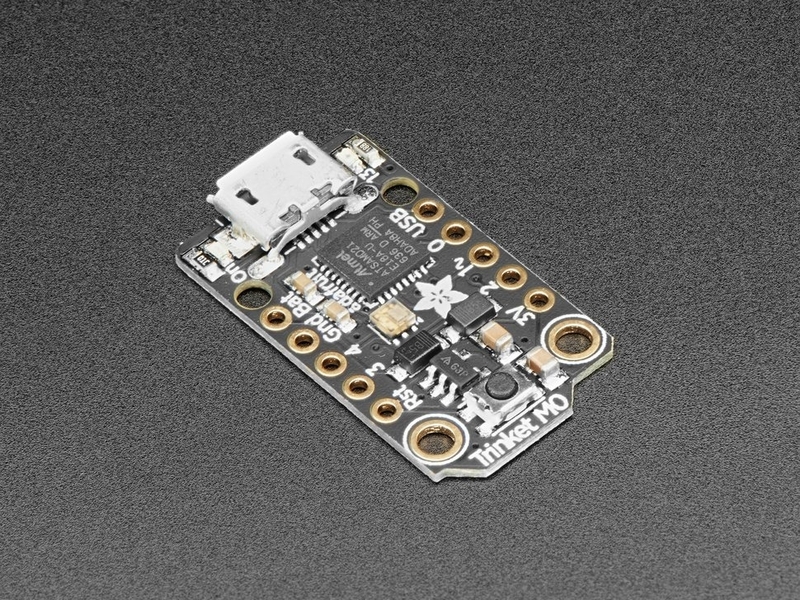 The Trinket M0 has swapped out the lightweight ATtiny85 for a ATSAMD21E18 powerhouse. It's just as small, and it's easier to use, so you can do more. The most exciting part of the Trinket M0 is that while you can use it with the Arduino IDE, we are shipping it with CircuitPython on board. When you plug it in, it will show up as a very small disk drive with main.py on it. Edit main.py with your favorite text editor to build your project using Python, the most popular programming language. No installs, IDE or compiler needed, so you can use it on any computer, even ChromeBooks or computers you can't install software on. When you're done, unplug the Trinket M0 and your code will go with you.